In 1996, Bone Thugs-N-Harmony released what would prove to be an iconic masterpiece. 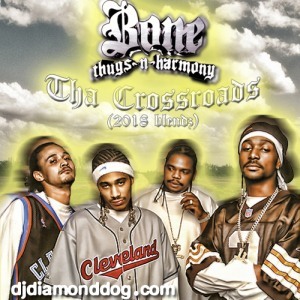 Tha Crossroads (from the album E. 1999 Eternal) debuted at #2 on the Billboard Hot 100 and has been certified 2x platinum. The original song was written in remembrance of Bone's friend, Wally, but was eventually remixed to honor the death of Eazy-E as well. There are 3 remixes available for this classic, all have the trap sound to them. You can stream all 3 right here or at djdiamonddog.com. You can also download them all using the link above.